Largest stock in the area. The Go-To Building Materials Store in Washington, Georgia. 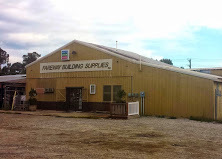 For over 40 years, Fareway Building Supplies, Inc. has been serving Washington-Wilkes. This family owned and operated hardware store was established in 1976 by Billy Cofer and his son, Ronnie. Stop by and check out their full Home Center and Building Supplies.